They say that there is beauty in simplicity. This is very true to people who are straight to the point and do not want to deal with complicated things just like me. Tattoo enthusiasts are basically divided into two groups in consideration to the said concept, those that want technical art and those who just want something simple. Simple-minded tattoo owners usually prefer designs that belong to the group featured today, the simple geometric. 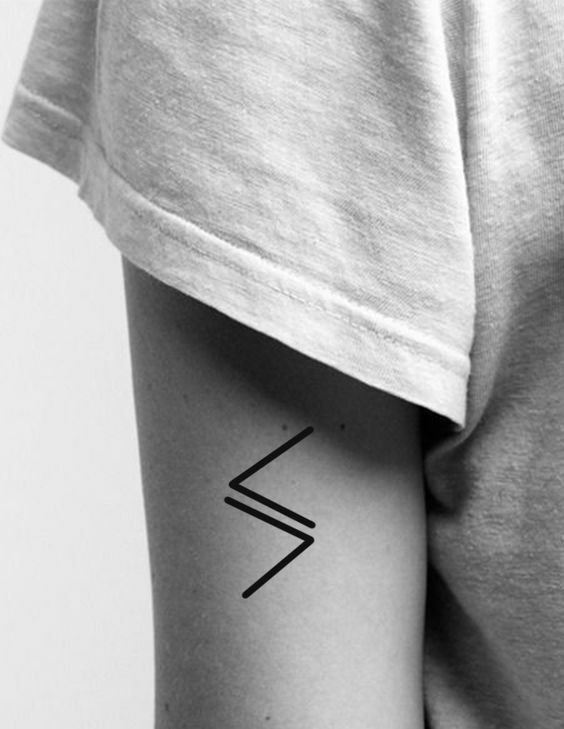 Simple geometric tattoos are just lines, shapes, or combination of both, strategically positioned in places where it can have the most impact to the public. Even with just the simplest design, these tattoos are still very loud due to its inert mystery and coolness. What we have in line for you guys today are probably the easiest collection we ever had in this website. But again, do not be deceived by the lack of complexity, rather, anticipate amazement from these cool inks.